Are you looking for a fast, easy and delicious snack to serve at your next party? Then you have come to the right place. 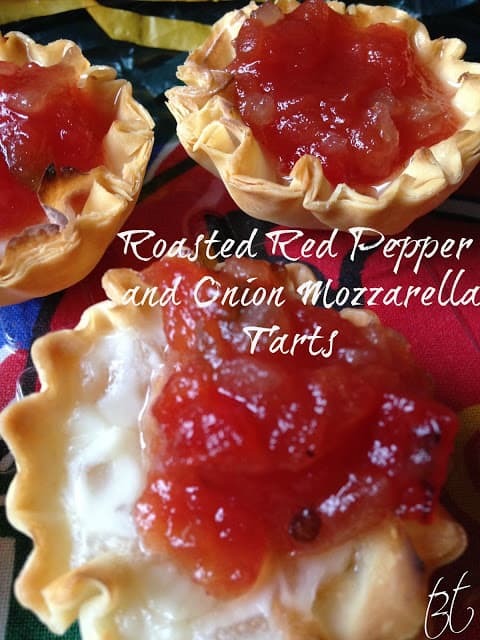 Roasted Red Pepper and Onion Mozzarella Tarts are made with only three ingredients. 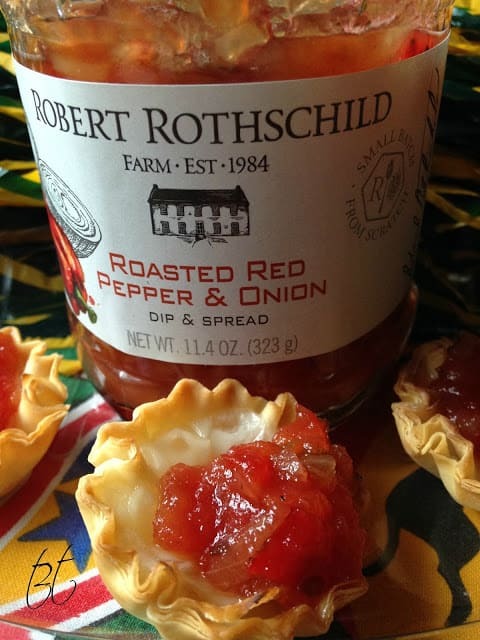 Robert Rothschild Farms roasted red pepper and onion dip, Athens mini fillo shells and cubes of mozzarella cheese. In less than 15 minutes you’ll have a snack everyone will love. Doesn’t get any easier than that. When I got home from the store and opened my bag, I found a recipe card in the bag along with my purchase of Roasted Red Pepper and Onion Dip. 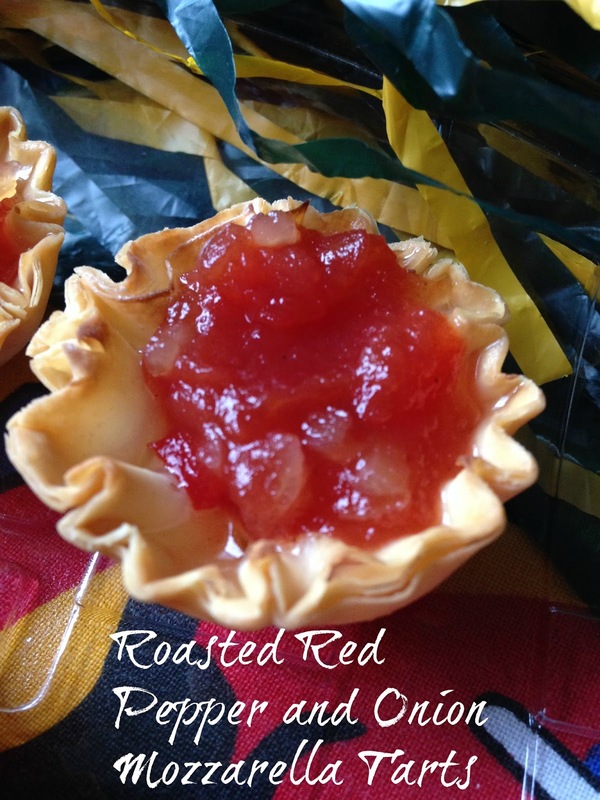 When I read the recipe I couldn’t wait to make these mini tarts. It just so happened I had all the ingredients, (all three) and made these tarts straight away. 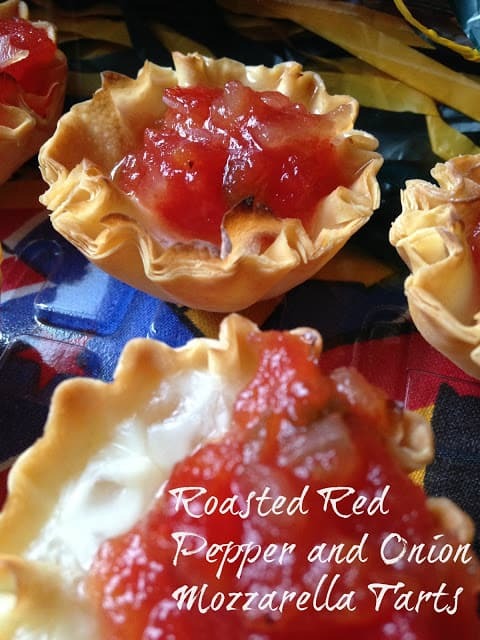 This recipe is made with Athens Puff Pastry Shells which are simply fantastic. You can fill these little beauties with anything and they’re going to taste good. You can use these shells to make a simple appetizer or a fancy dessert. 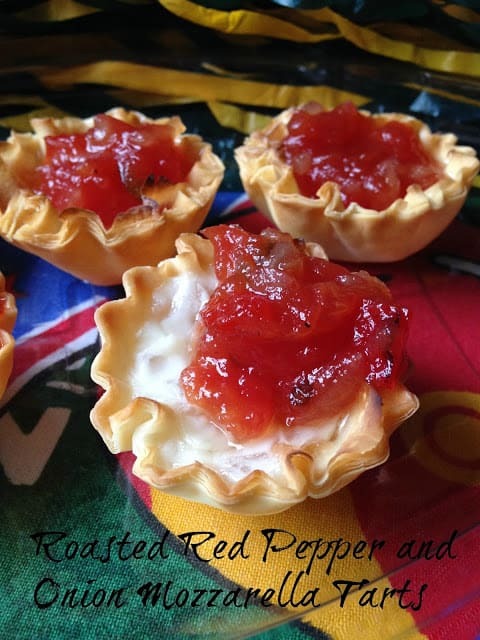 Place a fillo shell in each cup of a mini muffin tin. Place a cube of mozzarella cheese in each fillo shell. Bake in preheated oven for 8 to 10 minutes or until cheese is melted. Top with roasted red pepper & onion dip.